 The unit will be assembled by the flange plate.  The position of the bearing must be at the load opposite side. 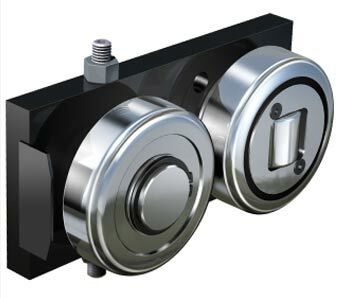 The main forces should be on the radial bearing of the Combined Bearing.  The adjustable bearing will be adjusted and finally secured. Advice: Adjust the adjustable bearing with a clearance of 0.05 to 0.1 mm to the profile. Test: The carriage should run smoothly in the profile without big resistance.